If you choose to climb Kilimanjaro with us you will be required to purchase your flights yourself and to send us details in order to confirm precise dates for your climb, if you are not climbing on one of our scheduled climbs. 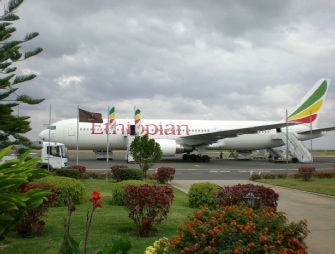 Some of the cheapest flights to Kilimanjaro International Airport (code: JRO) can be obtained from Vayama or Expedia. However, these companies require a clear week before the departure date to enable them to issue tickets, whether paper or e-tickets. If you haven’t been able to allow enough time to find low cost flights to Kilimanjaro you’ll need to buy directly from the airline. Climbers should be aware that Expedia have been known to send travellers tickets under wrong names and dates and that on one particular occasion when the traveller requested to be sent replacements they were told that new tickets would not be issued until the old tickets had been received by Expedia. The traveller was also told that they must send the tickets back to Expedia by recorded delivery. The caller’s impression from his contact with one particular Expedia operator (Darrheh Milligan, 12th August 2007) was that this scenario was not considered unusual or surprising to them. Please bear this in mind where it is necessary to rely on having tickets issued correctly within two weeks of your departure date. Busy times of year such as July, August and December will make it harder to find affordable flights to Kilimanjaro. If you don’t want to gamble it’s a good idea to purchase your flight several months ahead of departure. While KLM are generally reliable we have met with one instance of poor child-handling procedures and we encounter frequent problems with baggage being put onto the wrong connection. When flying you are therefore advised to wear your trekking boots as these are the hardest kit items to improvise at short notice if you need to begin your climb while you wait for your bag to catch up with you. If baggage does go missing you will have to accept the likelihood that you will have to climb without your own things as the handler at JRO, Swissport, can often be uncooperative. Please take this into account when deciding how to pack your hand and hold luggage. Also bear in mind that airports will often require you to remove your boots for examination when passing through security areas. If flying into Nairobi or Dar es Salaam as opposed to Kilimanjaro International Airport, or if wishing to visit Zanzibar after climbing Kilimanjaro or going on safari with us, you may wish to obtain onward flights within East Africa. 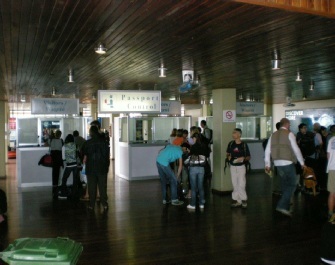 While Team Kilimanjaro are not air traffic organisers and therefore cannot actually sell flights to you, we can often reserve seats on suitable routes on your behalf for up to 24 hours, during which time you will have the opportunity to secure these flights yourself by submitting your credit or debit card details direct to Alternative Airlines. Please let us know via our booking form or by email if this facility will be helpful to you and we will supply you with the necessary details. 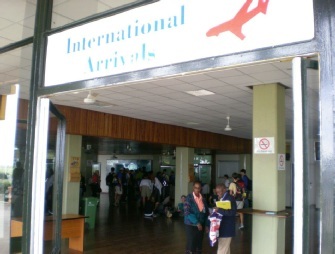 If unable to find affordable flights to Kilimanjaro International Airport an alternative is that you fly to Nairobi, spend the night at a hotel there and transfer to Arusha via a six hour bus journey, crossing the border at Namanga. You’ll need a Kenyan tourist visa for this option which you can purchase at Nairobi airport when you arrive. A reliable and centrally situated hotel that is very conveniently located for pickup by the Shuttle Bus service to Arusha is the Comfort Hotel with whom you are encouraged to book directly. If you wish to take the Shuttle Bus from Nairobi to Arusha you can either book and pre-pay for this via their website: www.riverside-shuttle.com or else request Team Kilimanjaro to book this on your behalf, if happy to commit yourself to an exact departure time. If you wish us to do this you will need to specify whether you wish to use the morning (0800) or afternoon (1400) Nairobi departure and you will need to have ready the (variable) fare of USD 25-35 per person in cash on boarding the bus. If you’re arriving into Nairobi too late in the day to catch the Shuttle Bus departures to Arusha, and you don’t want to lose time spending a night in Nairobi, another option is to use a private vehicle transfer from Nairobi Airport to your hotel in Arusha. This option usually takes a little over four hours and costs between USD 350 and USD 500, depending on availability, the size of the vehicle requested, and the time of day you wish to travel. Travelling at night is possible in the case of climbers who are very pressed for time, however the roads are not very well serviced between Nairobi and Arusha, and in places there are potholes which, in our view, makes this option riskier than most would be happy with. Team Kilimanjaro are able to arrange private vehicle transfers on climbers’ behalves, by subcontracting Kenyan transit operators. Need to know whether you should get your visa in advance?